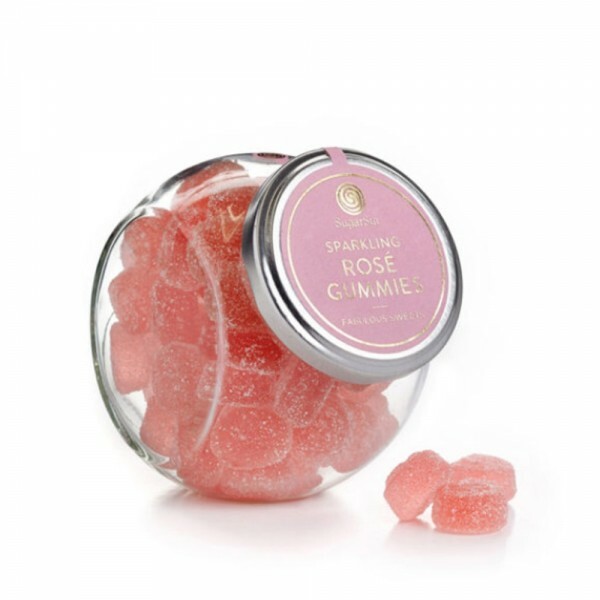 SugarSin Sparkling Rosé Sweets are unique gourmet gummies shaped as sparkling bubbles. Made with real Rosé wine, these classy, soft sweets are full of flavour with a rich, juicy texture. SugarSin was born from a lifelong passion for all things sweet, with a dream to create a modern Willy Wonka Factory filled with the world’s most unique and delicious gourmet sweets that are just as beautiful to look at as they are to taste. Made using the finest ingredients, these gourmet gummies have no artificial flavours and colourings. All candy is gluten free and classified as alcohol free. See 'Details' below for full ingredients and nutritional information.